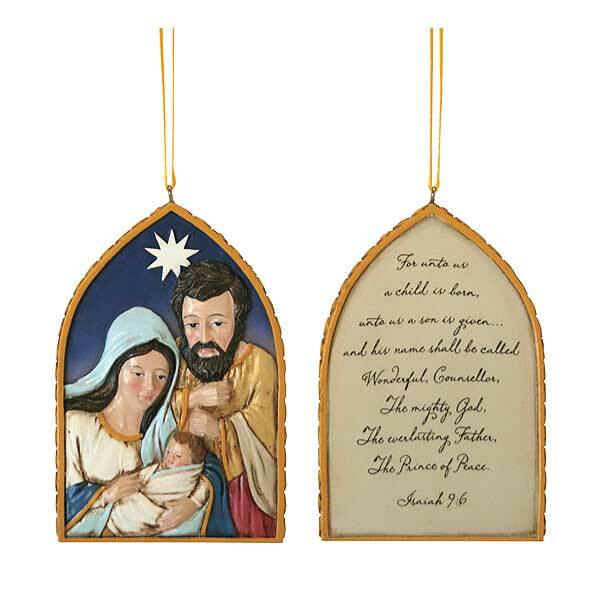 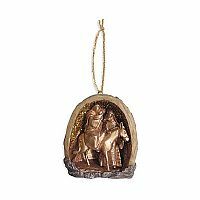 Adorn your Christmas tree with this beautifully sculpted, hand-painted ornament of the Holy Family. 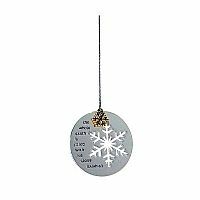 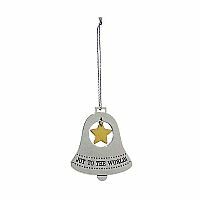 Inscribed on the back of the ornament is the scripture from Isaiah 9:6: "For unto us a child is born, unto us a son is given...and his name shall be called Wonderful, Counselor, The Mighty God, The everlasting Father, The Prince of Peace." 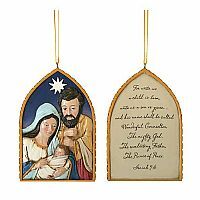 Includes a classic gold ribbon for hanging. 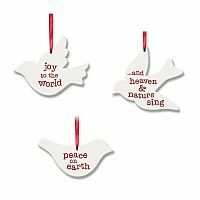 Makes a meaningful and thoughtful gift.